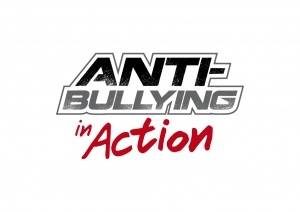 The exciting shows and school assemblies performed by the world-class Perfection On Wheels Bicycle Stunt Team offer an ideal anti-bullying campaign platform. First, our professional, award-winning BMX athletes thrill young people with their incredible tricks and breathtaking stunts to capture their attention and imagination. .
Then they mindfully leverage that respect, admiration, and instant celebrity status to build strong rapport with students by connecting with them on a deeper level to convey powerful anti-bullying messages. 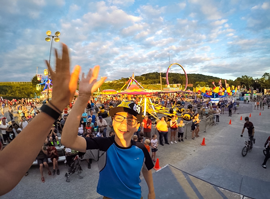 When it comes to bullying, the Perfection On Wheels BMX Stunt Team has a zero-tolerance policy, and our riders impress that upon students. 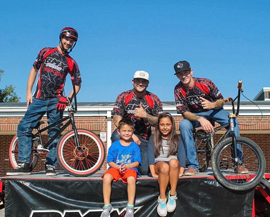 Our BMX Team is legendary for its success on two wheels, entertaining audiences of all sizes and all ages throughout the USA. But it is equally renowned for convincing young people to make the right choices when it comes to standing up against bullies and all forms of bullying, both subtle and overt. Kids feel empowered in the presence of these spectacular athletes. They identify with them Red Ribbon Week Assemblybecause our BMX stunt show is comprised of riders who are just like them. Your students all ride bicycles, and so do our performers. The only difference is that our riders are a little older and more mature and we ride the coolest BMX bikes kids will ever see. It is absolutely thrilling and inspiring for students. Best of all it makes them extremely receptive to the multilevel messages and thought-provoking lessons designed to help eliminate bullying in school and in life in general. 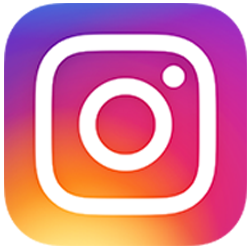 * When it comes to bullying, the Perfection On Wheels Bicycle Stunt Team has a zero-tolerance policy, and our riders impress that upon their audiences. What Can Schools Do to Prevent Student Bullying? 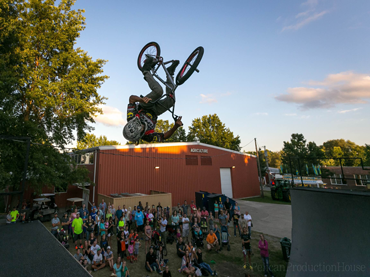 Perfection on Wheels BMX Stunt Team has created another way to combat Bullying. 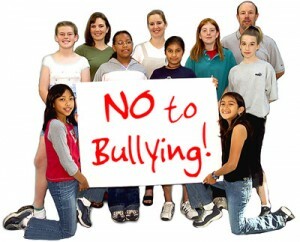 Our anti- Bullying School Assemblies & Presentations have speakers that demonstrate methods to prevent bullying in schools. Today, schools typically respond to bullying, or other school violence, with reactive measures. However, installing metal detectors or surveillance cameras or hiring police to patrol the halls have no tangible positive results. Policies of Zero Tolerance (severe consequence for any behavior defined as dangerous such as bullying or carrying a weapon) rely on exclusionary measures (suspension, expulsion) that have long-term negative effects. Anti bullying programs strive to put young people onto a path that sends them in the direction of success in school, strong social ties, and productive lives. This path also lifts them above failure, violence and ultimately prison.Anti Bullying School Assemblies & Presentations are a powerful and exciting way to deliver positive reinforcement using extreme sports athletes who not only wow your students, but provide a presentation packed with informative education on bullying. The team of skilled and dedicated bike riders, not only perform, but are great speakers as well. These are role models who really love there jobs. We perform our thrilling bullying school assemblies at the convenience of your school while reinforcing positive morals and increasing self confidence. We drive home the idea that finding something you love to do and focusing on it is more personally fulfilling than engaging in negative acts including bullying peers. As professional BMX Stunt riders, we need to stay healthy; we need to be fit, eat right and exercise. By demonstrating that a healthy mind and body can help you achieve great things, students recognize to focus on their personal talents rather than feeling tough just by bullying others. Our team demonstrates during the bullying school assemblies that any negative behavior, whether using drugs or bullying, can jeopardize the focus necessary to achieve personal goals. Education, character, and self esteem also play a big part in what we do. When you find something you like to do, your self-esteem and confidence builds and the same focus and the drive is put towards achieving that goal and not towards bullying other students. 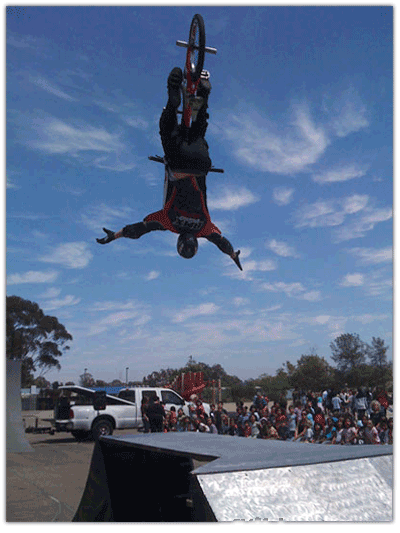 Thrilling BMX Stunts for your next Anti Bullying school assemblies or Presentations that Wow Crowds of All Ages! Your students will love our cool bikes, hip music, and extreme sports action. 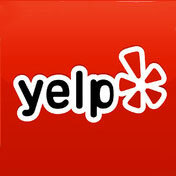 You will appreciate our powerful delivery of clean, positive messages. 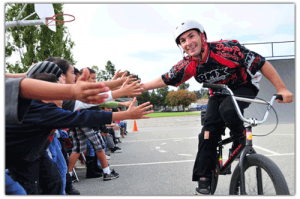 Organizing a school anti-bullying assembly with our talented and trained bmx riders is the ideal medium to get everyone talking about bullying in primary, elementary and high schools. Getting the entire school involved for a school wide anti-bullying program will get students, teachers, administrators and parents involved in the reality of bullying and the mental effects it has on our students.